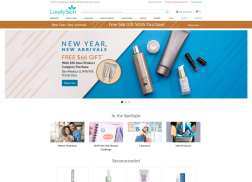 LovelySkin is a beauty care and cosmetics retailer that also sells hair care products, fragrances, and dermatological solutions. It is known for its makeup kits that are popular among the young and hip crowd. Consumers are equally fond of its economical prices and swift delivery. Get 25% – 30% – 40% – 50% – 70% off End of Year Clearance Sale on select items. Only one discount code may be used per order. Offer starts on 12/21/2018 at 4:00 pm CST. Get Free Dewy Skin Duo – $44 value with Any Dermalogica Purchase of $99. While supplies last. Get Free $18 Doctor Babor 3-Step Lifting RX Performance Travel Set gift with $50 featured category purchase. Gift set includes deluxe samples of Lifting Rx Collagen Serum, Lifting Rx Dual Eye Solution, Lifting Rx Collagen Cream. Only one discount code may be used per order. Limit one per customer. Holiday Beauty Haul! Get Free Neocutis Travel-Size micro Night rejuvenating Cream 15 ml Gift valued $65 with purchase of featured category.Only one discount code may be used per order. Limit one per customer. Get 20% Off Select Epionce Products. Only one discount code may be used per order. Get Free Travel-Size Pumpkin Enzyme Scrub – 0.75 oz for $15 with $50 Glo Skin Beauty order. Only one discount code may be used per order. Best discount available will be used. Good while supplies last. Limit one per customer. Cannot be combined with any other offer. Only one discount code may be used per order. Good while supplies last. Limit one per customer. Winter Hydration Essentials! Get a Free $43 PCA SKIN Travel-Size HydraLuxe Intensive Hydration – 0.5 oz with $50 Featured Product Purchase. Only one discount code may be used per order. Limit one per customer. New Year’s Sale! Get 37% Off Obagi Products + Free $50 Rewards E-Certificate with $150 with Sitewide Purchase. E-Certificate is issued on February 11, 2019 and valid through March 11, 2019. Only one discount code may be used per order. Limit one per customer. New Year’s Sale! Get 27% Off Neocutis Products + Free $50 Rewards E-Certificate with $150 with Sitewide Purchase. E-Certificate is issued on 02/11/2019 and valid through 03/11/2019. Only one discount code may be used per order. Limit one per customer. Get Free $60 SkinMedica Radiance Travel Set on your order. Travel Set Includes: TNS Eye Repair – 0.07 oz, HA5 Rejuvenating Hydrator – 0.3 oz, Total Defense + Repair SPF 34 – Untinted – 0.25 oz, Dermal Repair Cream – 0.13 oz. Winter Warm Up Sale! Get 20-25% Off Most Brands + Free Gift with Sitewide Purchase of $125. Free Gift includes $13 SkinCeuticals Discoloration Defense Deluxe Sample. Only one discount code may be used per order. Limit one per customer. Winter Warm Up Sale! Get 25% Off Obagi Products + Free Gift with Sitewide Purchase of $125. Free Gift includes $13 SkinCeuticals Discoloration Defense Deluxe Sample. Only one discount code may be used per order. Limit one per customer. Get Free $40 Iris Travel Bag with Sensitive Brush Head with Any Clarisonic Mia Smart or Mia Prima Purchase Offer subject to termination without notice. Good while supplies last. Get a Free $50 Rewards E-Certificate with your $150 site purchase. Cannot be combined with any other offer. Only one discount code may be used per order. Best discount available will be used. Good while supplies last. Limit one per customer. Rewards E-Certificate Terms – Issued on February 11, 2019 and valid through March 11, 2019. Limit one per customer. Qualifying offers on single transaction only. Not valid on combined orders. Cannot be combined with any other offer. One-time use only. Entire amount must be used at one time – cannot be used on multiple orders. Rewards E-Certificates have no value after March 11, 2019. 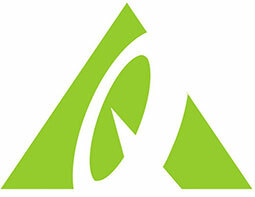 Rewards E-Certificates are non-transferrable and one per customer, one-time use only. Not valid for returns or exchanges. E-Certificates cannot be redeemed for cash value. Get 20% off Lovely Skin LUXE. Cannot be combined with any other offer.